The hubs and I were going over the music we wanted for the wedding. We have very similar music tastes and so it was really easy for us to create a list of songs that we would like for the ceremony, “cocktail hour,” and reception. But after we had spent hours and hours, late into the night, finding the best music, we went back over our list and realized that most people wouldn’t recognize any of it. We are huge indie music fans, so we love the music we picked, but chances are, no one will dance to it. So, at least for the reception, we had to go back and pick some songs people would definitely dance to. The sad part about the whole situation was we really liked the music we picked! Most of it is going to be played during the down time, where dancing isn’t really happening, so hopefully people will listen a little and say, “Hey, I like this song, who is this?” And the Pinspiration today is sort of inspired by our eclectic music tastes, and the fact that we want to spread our taste in music amongst our friends and family. Wedding playlist CD favors! 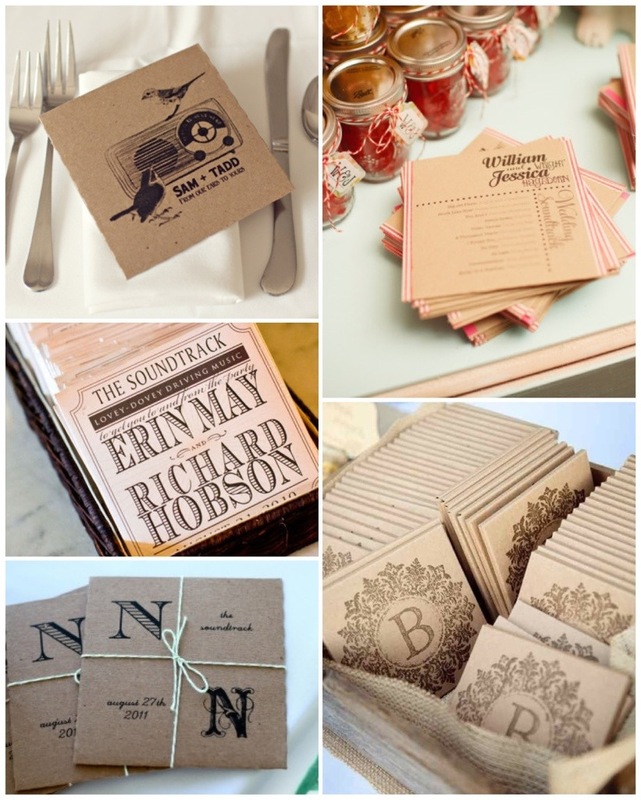 Your guests can really get a feel for your musical style and it is a really inexpensive favor! If you are a good artist, you can even design the cover art your self!